Happy Tuesday! And welcome to another great episode of #ThatBusinessShow, with your Host, Jamie Meloni! Welcoming the best of Tampa Bay has to offer, #ThatBusinessShow invites you to come on the #MorningAir and showcase what you do to #HelpOurCity! 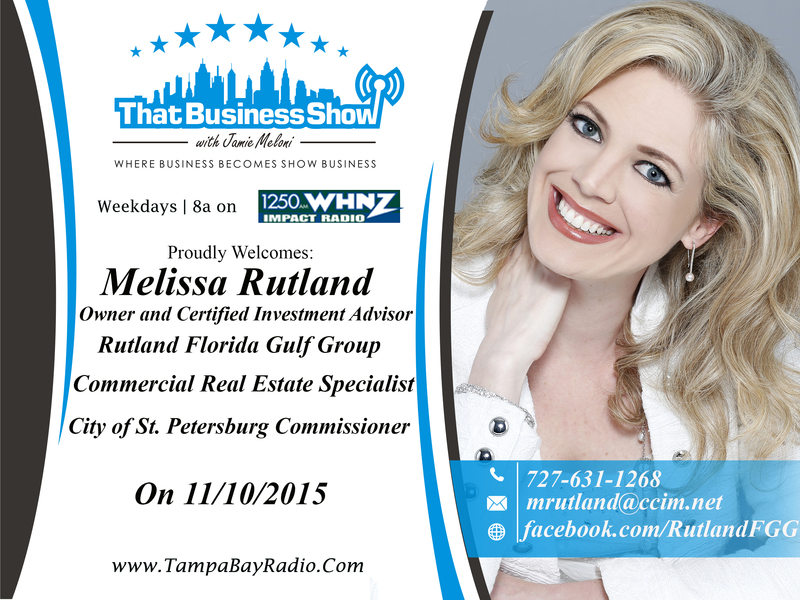 This morning, Jamie invited Melissa Rutland onto the show, Owner of Rutland Florida Gulf Group! He also invited two musical guests – Doug Decker, CEO of Grant Hemond and Associates, Inc. – and Jason Tally, a resident DJ with the comapny! (No, they did not turn #ThatBusinessShow into a club scene.) If you missed the #MorningDiscussion, then head to http://www.tampabayradio.com now to listen to any show on demand, alternatively, head to Jamie’s YouTube Channel at http://www.youtube.com/JamieMeloni now to watch the live footage! 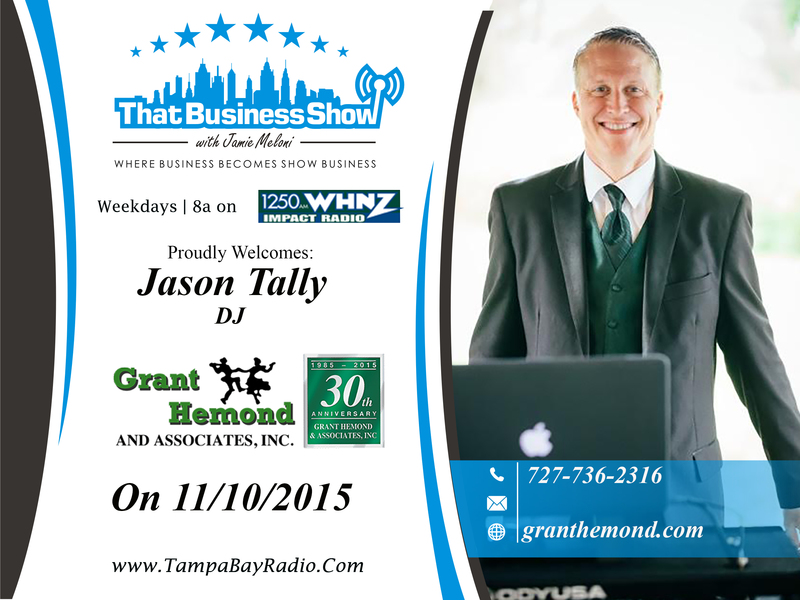 Remember, #ThatBusinessShow airs every weekday at 8am on #1250WHNZ and http://www.tampabayradio.com! Coming up first on the #MorningAir this morning at 8am on #1250WHNZ was Melissa Rutland, Owner of Rutland Florida Gulf Group. Melissa is also a Certified Commercial Investment Advisor, working in the St. Petersburg Area! Melissa applies real estate expertise to sophisticated commercial real estate transactions for investors. Including the targeting of key areas and negotiating leases for expanding business owners and large franchises. Her Expertise in analysis to identify and to acquire buildings for investment to property for development to leasing multi tenant complexes to land assemblages is well known, as she has done so for over 10 years! With huge involvement in the community, Melissa really #HelpsOurCity! You can find out more about Mellissa Rutland and Rutland Florida Gulf Group at http://www.facebook.com/rutlandfgg! 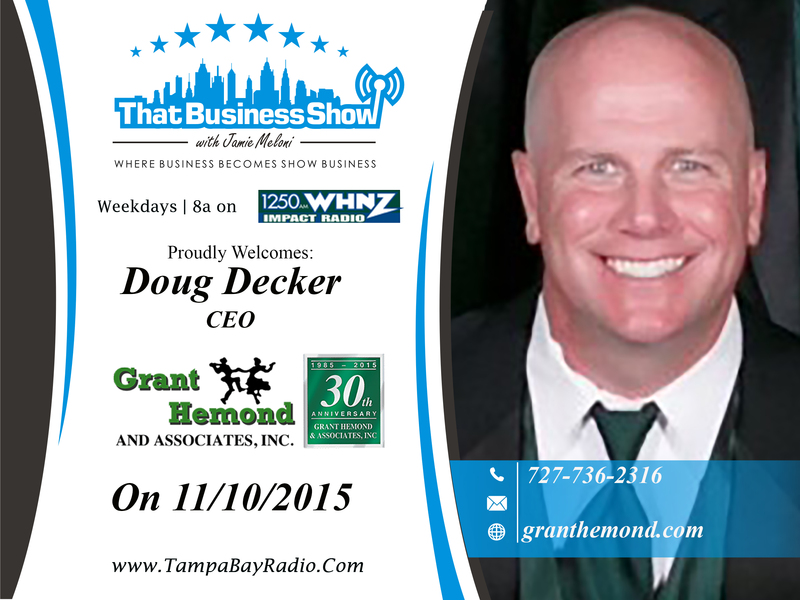 Coming to your event to start the party, Doug Decker, CEO of Grant Hemond and Associates, Inc. and Jason Tally, a resident DJ with the comapny were on next on #ThatBusinessShow with Jamie Meloni! Specializing in DJ’ing. Emcee’ing Weddings, Corporate Events, Bar and Bat Mitzvahs, as well as Sweet 16’s, and Quinceaneras, Grant Hemond and Associates, Inc. are masters of making any occasion better! Handling hundreds of events just within a year, they have been voted by the Tampa A List as the #1 Wedding Dj, and have been the 2nd Most Reviewed Entertainers in the Nation! So please consider Grant Hemond and Associates, Inc. for your next event! Contact them and find out more at www.granthemond.com. This entry was posted in Articles, Business, Entrepreneurship and Business, Work and tagged business, dj, interview, live, radio, talk, weddings, work. Bookmark the permalink.